Dr. Gardner, a native of Rochester, NY, majored in Bio-molecular science at Clarkson University in Potsdam, NY and received her MD degree from the University of Rochester. 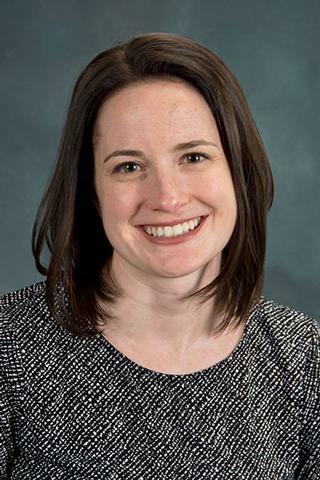 She completed her combined Internal Medicine-Pediatrics residency training at the University of Rochester, and is currently Chief Resident of the combined Internal Medicine-Pediatrics program at the University of Rochester. Dr. Gardner's academic interests include medical education, and healthcare disparities. Vandermark ER, Deluca KA, Gardner CR, Marker DF, Schreiner CN, Strickland DA, Wilton KM, Mondal S, Woodworth CD. "Human papillomavirus type 16 E6 and E 7 proteins alter NF-kB in cultured cervical epithelial cells and inhibition of NF-kB promotes cell growth and immortalization". Virology. 2012; 425(1): 53-60.